2017 was a genuinely transformational year for France’s Bollore, which embarked on extraordinary corporate activity to protect its vast portfolio of assets. Its stock market performance since late 2016 proves investors welcomed the changes in its corporate structure. It more than doubled group revenues to €18.3bn, thanks to the consolidation of Vivendi, which added €8.9bn in sales. Even excluding the contribution of Vivendi on a constant exchange and scope basis it grew the top-line by 6% to €9.4bn. On a reported basis, its sales – again, excluding Vivendi – fell 6% to €9.4bn, but that turnover doesn’t take into account other extraordinary corporate activity, which involved Havas, whose first half results were attributed to Bollore, while second half results were consolidated by Vivendi. As a reference, Havas in 2016 turned over almost €2.3bn and was previously the only asset comprised in its communications unit, which now includes Havas itself, other media and telecom activities as well as Vivendi. Revenues in its transportation and logistics (T&L) unit rose by 6% and 8% on a reported and organic growth basis, respectively, hitting €5.7bn for the year. Its large operations in Africa saw no growth with revenues of €2.3bn, while the reminder of the T&L portfolio grew 10%. The much smaller oil logistics unit booked reported organic growth rates of 11%, with €2.1bn of sales, and its smaller electricity storage and solutions business was essentially flat, with revenues of €311m. The operating income of the T&L division came in at €491m, essentially unchanged on a comparable basis, but oil logistics was impacted despite double-digit growth rates, with operating income down 33% to €36m from €54m one year earlier. More broadly, excluding oil logistics, adjusted operating margins in the T&L business were under pressure, down 70 basis points to 6.6%, while operating income at group level came in at €1.1bn. A slight rise in T&L was “due to an improvement during the second half year, marked by the positive performance of the port terminals and logistics in Africa and the sustained growth of freight forwarding volumes,” the group said, adding that “a contraction of the results for oil logistics (despite an improvement during the second half year) resulting from lower volumes in the distribution operations in France and Switzerland (adverse climatic conditions), whereas 2016 had benefited from positive inventory effects and non‐recurring items”. 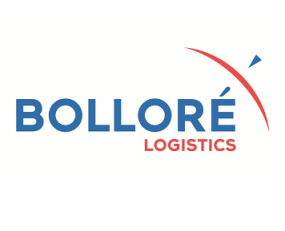 Bollore highlighted the “good performance of its UMG and Canal + Group businesses”, while it “managed expenditure in Electricity Storage (batteries, electric vehicles, stationary solutions), despite the development of new car‐sharing services and battery improvement costs”. Net cash from operations and net debt almost doubled to €4.8bn and €2.1bn, respectively, and capex rose to over €1bn versus €658m in the prior year. Based on these figures and its adjusted operating cash flows levels, as gauged by EBITDA, the group maintains a good degree of financial flexibility, also considering its dividend policy and payout ratio.